The Wenatchee Wild have written quite a storyline in the B.C. Hockey League, winning the league title last year in just their third season in the league. The Wild may not be at the level of their 2018 BCHL championship season. But they still provide a decent measuring stick this season at 28-18-6 after beating the Cowichan Valley Capitals 4-3 in overtime Friday night in Duncan. The Wild head over the snowy Malahat to battle the Victoria Grizzlies tonight in The Q Centre. “The next two games [against Wenatchee and Sunday afternoon against the 29-14-7 Interior Division second-place Merritt Centennials] present six big periods against league upper-bracket teams,” said Grizzlies head coach and GM Craig Didmon. The Grizzlies (31-16-4) — with four players ranked for the 2019 NHL draft including projected first-rounder Alex Newhook and projected second-rounder Alex Campbell — also certainly fall into that category. “This will push us to play our best and we need to be at our best,” said Didmon. The Grizzlies were less than that in a 5-4 shootout loss Thursday night to Island Division last-place Cowichan Valley. “That was a lesson learned that we are not untouchable and have to play hard every night,” said Didmon. The Grizzlies are battling for Island Division supremacy and led the Powell River Kings by three points heading into the Kings’ Friday night home tilt against Merritt. LOOSE PUCKS: Prior to Friday’s action, Newhook led the BCHL in scoring with 84 points in 47 games. 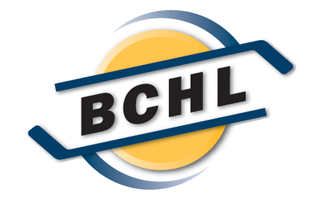 Powell River’s Ryan Brushett was second with 73 points in 50 games.